Calling out to Youth around the globe. 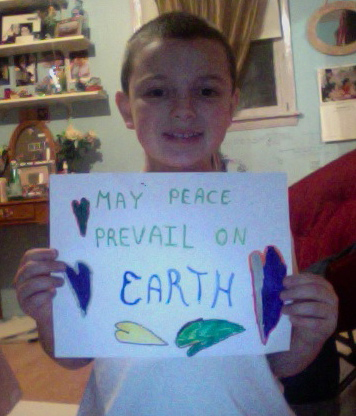 Please send us a photograph of yourself, holding up your personal “May Peace Prevail On Earth,” message in your language. We will be compiling the images and creating a short music video of the many Faces of Peace. We will also be using your images on our News Blog. Be sure to pass this along to your friends!